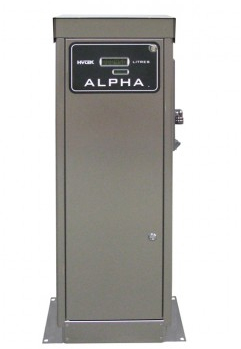 The use of yellow metals in these specially designed ALPHA pumps for use with up to B100 biodiesel has been kept to a minimum to limit the formation of residue (oxidation) in the biodiesel to acceptable levels.  Pumping unit. Direct drive pump & motor.  Choose between right facing, front facing or left facing nozzle holster.